Danielle Bregoli, better known as the ‘Cash Me Ousside’ girl, has been sentenced to five years probation after pleading guilty to multiple charges. The infamous 14-year-old pleaded guilty in late June to grand theft auto, grand theft, possession of marijuana and filing a false police report, incidents that all took place within the past year. Avoiding jail time, Danielle was sentenced yesterday in Delray Beach, Florida but could face additional charges for a battery incident that happened earlier this year. 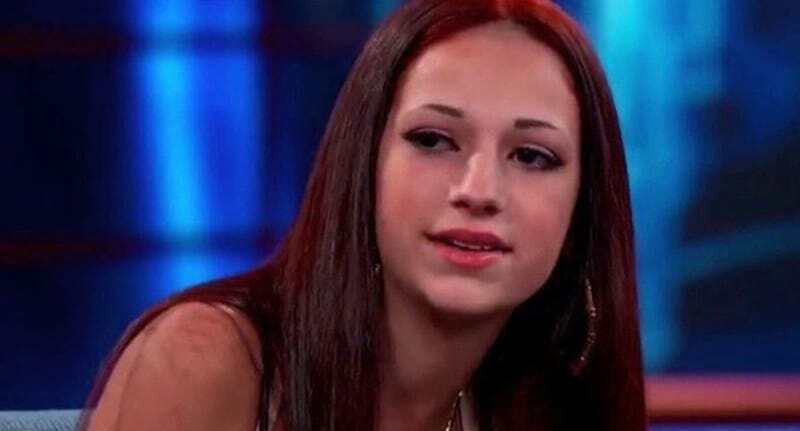 Danielle became internet famous after her appearance on Dr. Phil in 2016 where her catchphrase ‘Cash me ousside, how bow dah’ went viral. It has been recommended that Danielle should stay in Palm Beach Country although she is allowed to complete probation in California where she now lives with her mother Barbara Bregoli. It was actually her mother’s purse and car she stole, reports The Daily Mail, and Danielle also called police to falsely report her mother had assaulted her and had been using heroin. Since Danielle’s appearance went viral, she moved to Hollywood with her mother and is reportedly filming a reality television show. It has even been predicted she will soon be a millionaire. Not too shabby for a meme star.